I hope everyone had a wonderful Thanksgiving and with the four days off, I was able to watch a pretty decent amount of movies. Some were good, some were terrible and one was Bond, so it gets incorporated into the “My Name is Bond” Series here on the blog. Yes, I know I said I was going to go in order, but after seeing this one and having it fresh in my mind, I am going to jump around a bit. 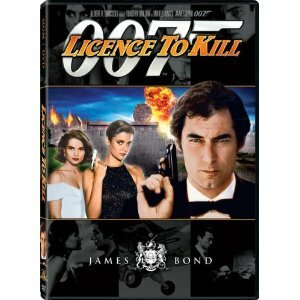 Timothy Dalton takes his second and final turn as James Bond in this film. Longtime friend and CIA agent Felix Leiter (David Hedison) is on his way to his wedding with Bond as the best man. On the way, however, the DEA intercepts him because of a lead on notorious drug runner Franz Sanchez (Robert Davi). After an exciting pre-title action sequence that results in Sanchez’s capture, Leiter and Bond arrive for the wedding in epic style. Under interregation, Sanchez offers $2 million for anyone who will free him. DEA agent Ed Killifer (Everett McGuill aka ‘Big Ed’ to all you Twin Peaks fans) can’t pass up the offer and frees Sanchez during the transport. Knowing his captor, Sanchez kills Leiter’s newly wed wife and feeds him to the sharks, though he does survive in intensive care. Bond, seeking revenge, plans to go gunning for Sanchez, but his boss M demands he stay on course and head to Istanbul for a field operation. James resigns and gives up his “Licence to Kill”, instead embarking on a journey into South America to find and kill Sanchez. Along the way, he garners some convenient help from a CIA operative named Pam Bouvier (Cary Lowell) and receives some help from Q (Desmond Lleweln) under the table. 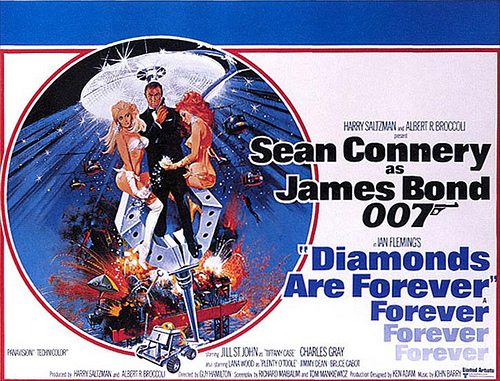 In addition to being Dalton’s final appearance as Bond, this was also the final Bond film for Albert R. Broccoli in the Executive Producer position, Richard Maibaum as a writer, John Glen as a director (he directed all 5 Bond movies in the 1980s beginning with For Your Eyes Only), title designer Maurice Bender, Robert Brown as M and Caroline Bliss as Moneypenny. So, in a way, this film marked the end of an era in the EON Productions Bond franchise; because of this and lawsuits that arose in the early 1990s, it was six years before a new Bond movie release, that being Goldeneye with Pierce Brosnan. A lot of bond fans are not too keen on Dalton as Bond. A more emotional, sentimental Bond than some in ways, yet more realistic and rough and tough in others. According to many, Dalton’s portrayal is the closest to the original character in the books by Ian Fleming. For me, personally, I immensely enjoyed Dalton’s portrayal and hate he didn’t stick around for a third film. 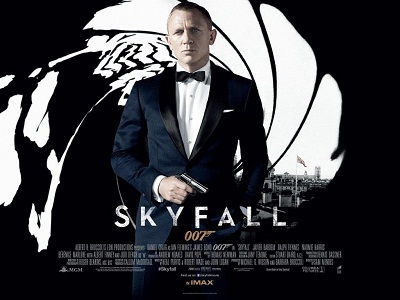 As for the film itself, director John Glen felt this was his best effort of all his Bond films; I have to agree. It is gritty, it is dark and the action sequences are very well-handled. Though little attention gets paid to this film in the canon, I really enjoy it. This was my third time seeing the movie and it hasn’t lost any of the allure it had for me when I first saw it nearly seven or eight years ago.